No matter how great a business idea is, it will never realize its true potential without effective marketing. Business owners can now choose to utilize traditional or digital marketing which wasn’t possible a few decades ago. However, choosing between the two can be quite challenging. Here are a few points to consider when deciding if you should walk into a digital marketing agency or contact a newspaper. It’s common knowledge that running adverts on television or newspapers can burn a hole in your pocket. Digital marketing, on the other hand, is a cost-effective method of marketing. A study shows, that to reach an audience of 1,000 people via traditional media, a business will need to spend at least $28. Whereas, on social media, a business will only need to spend about $3 to reach the same number of people. With traditional media, you will have to wait for months before you can witness the results of your advertising campaigns. On the digital front, you will have access to real-time results which can help you make the right modifications to your campaigns to drive the best results. Marketing digitally allows you to interact with potential customers in real time; an opportunity traditional marketing does not provide. On a digital platform, you can answer queries, reply to comments, and increase your brand awareness. One of the biggest benefits of digital marketing is the facility to track and analyse your results. When you understand how your advertisements are performing, you can tweak them for optimization. Today, even traditional media has moved online. Every newspaper and news channel has an online presence. It only makes sense that you decide to market digitally as well. 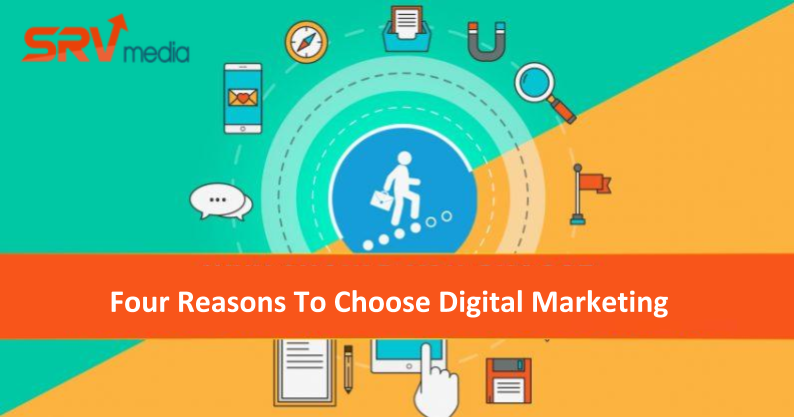 If you are wondering how you can market your business online, you could choose to partner with a company that provides digital marketing services in Pune. Partnering with a good digital company will take the guesswork out of the equation completely.